Easy and clear operation. Smooth and intelligent interaction. The new EMUI 8.1 is now leading your mobile experience in a new way. The most frequently used buttons - Gallery, Shutter and Camera Switch are now together at the bottom. All shooting modes are down in the bar just above the shutter while all configurations and settings are moved to the top navigation. No need to move your fingers all around the screen or switch panels. Following the contours of your features, the 3D Portrait Lighting Mode adjusts for the most flattering selfies and offers a host of studio-quality lighting effects to turn quick selfies into striking portraits. *Currently these functions are only available on the HUAWEI Mate 10 series, P20 Series and Porsche Design Mate RS. On-screen photo is not taken by the product, but for illustration purposes. 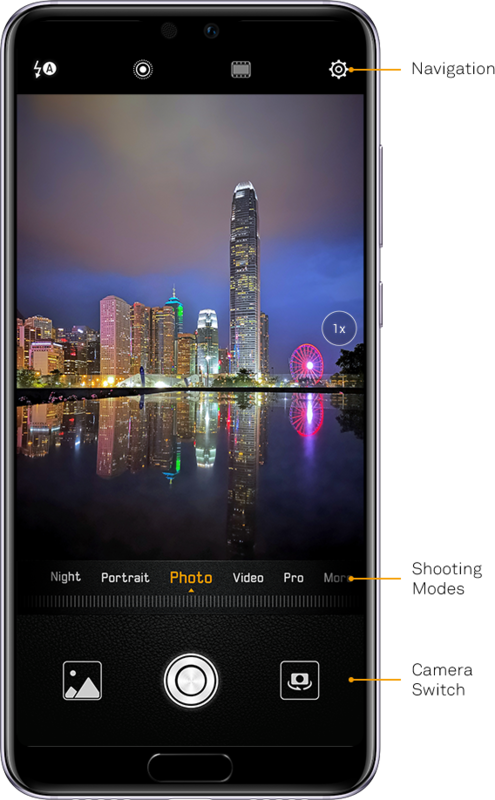 Follow the contours of your features, the 3D Portrait Lighting Mode adjusts for the most flattering selfies and offers a host of studio-quality lighting effects to turn quick selfies into striking portraits. 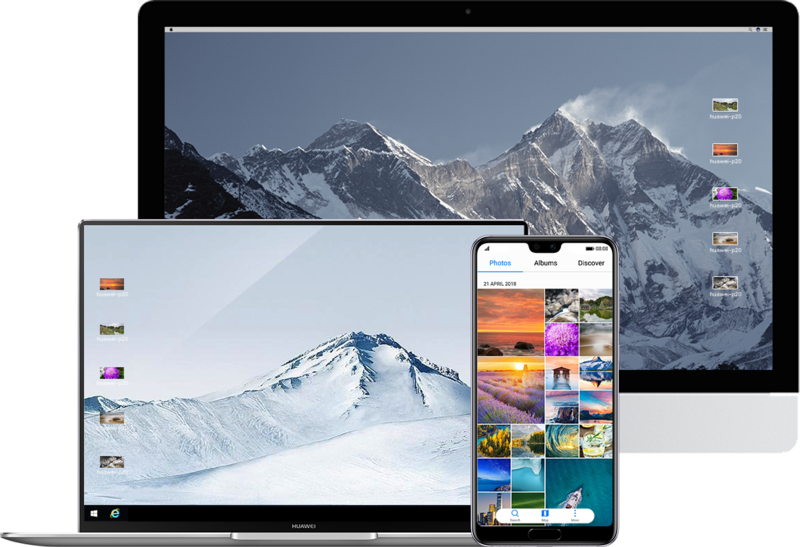 Intelligent photographic algorithms can identify, in real-time, 19 different categories*, automatically adjusting colour, contrast, brightness, exposure and more to produce vibrant, sharp, professional looking photographs. 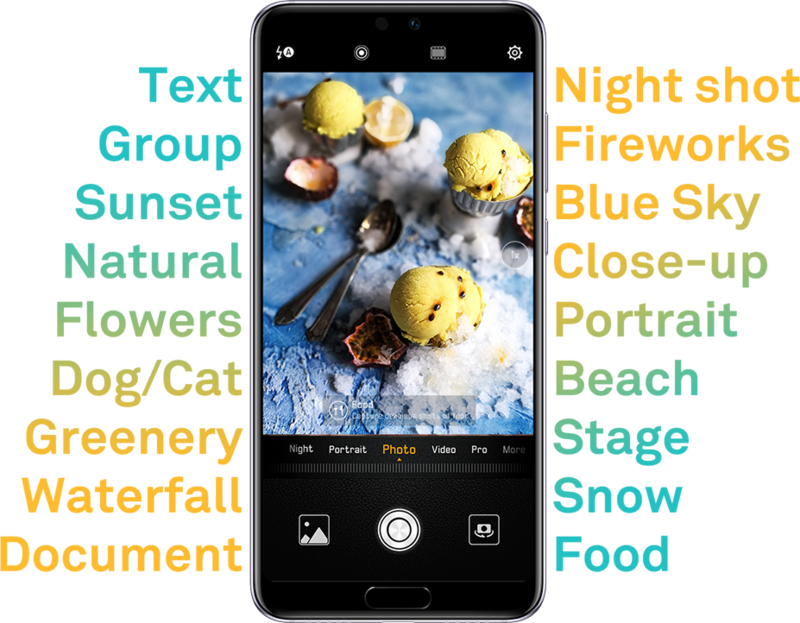 *Identifiable categories include: cat, food, group, natural colours, close-up, night shot, text, greenery, portrait, dog, fireworks, blue sky, flowers, stage, document, sunset, snow, waterfall, and beach. **Currently these functions are only available on the HUAWEI Mate 10 series, P20 Series and Porsche Design Mate RS. By looking at your screen for less than a second, you can access your phone swiftly. Built on complex algorithms and facial comparison data, the facial recognition ensures high-level security to guard against photo and video intrusion. Getting rid of the boring identical cubes, the new Photo Gallery selects the most beautiful shots and presents them in an interesting way. The Discover feature intelligently categorises your photos and reminds you of them on special days. Enjoy new ways of shopping. Scan a product directly, or use two fingers to press an object in an image, to get direct access to an Amazon shopping link*. Quick and easy. *Only available for products selling on Amazon. 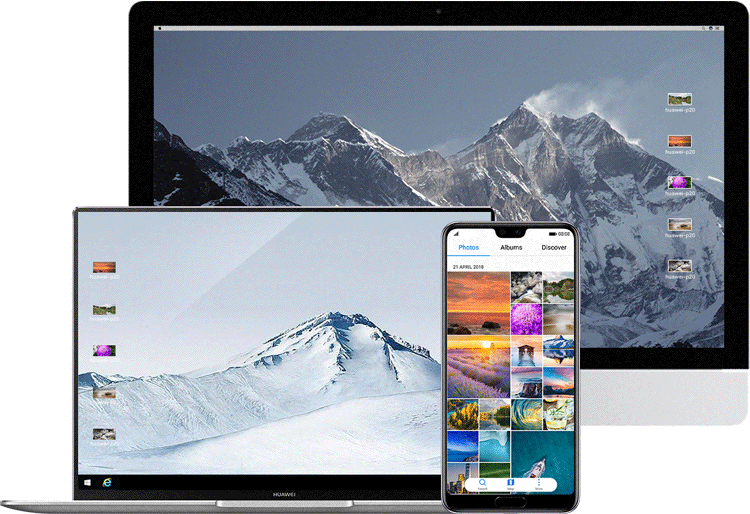 HUAWEI Share 2.0 allows you to transfer files and photos in an instant between HUAWEI phones* and your PC or MAC. Cable-free, unlocked, fast sharing made easy. *Exclusive to models that support HUAWEI Share. By enabling Natural Tone, the display automatically adjusts colour temperature based on ambient lighting for a consistent paper-like viewing experience. Google Assistant is deeply integrated with EMUI 8.1. Speak to it with different commands to open the Camera and switch between Photo, Video, Monochrome and Panorama modes. With HUAWEI Phone Clone, switching from other phones to HUAWEI phones is never a problem. It works even faster in the new EMUI 8.1.